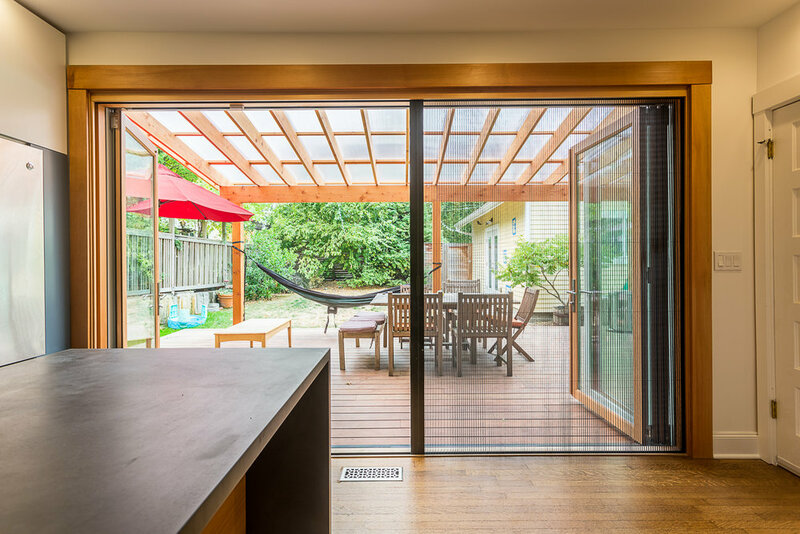 This remodel involved relocating the kitchen in an existing home in order to create a strong indoor-outdoor connection through the addition of a large, fully-glazed folding door and a new patio with a translucent cover. The old layout required walking through the media room or kitchen to get to the living room and backyard. 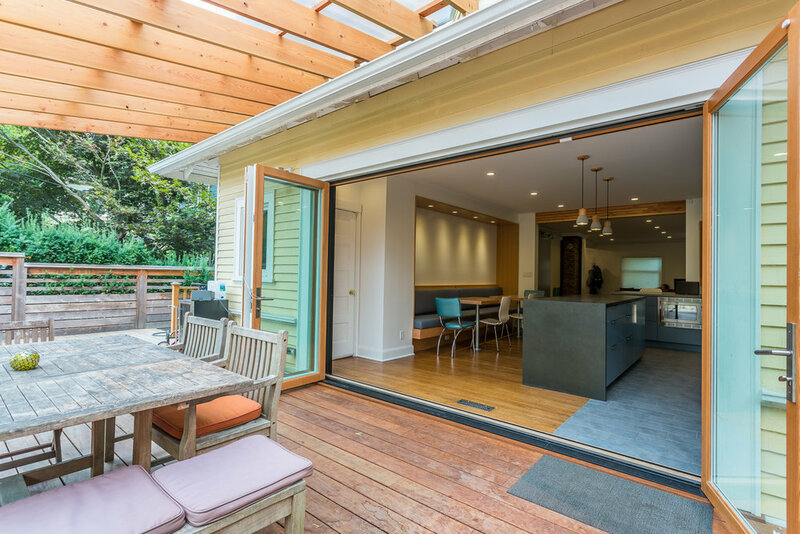 The new layout moves the kitchen and dining area to face the backyard and tucks the media room into the old kitchen space, creating an open flow between the living, dining, and kitchen. Bar seating and a built-in booth create generous options for studying and personal work space for this young family. 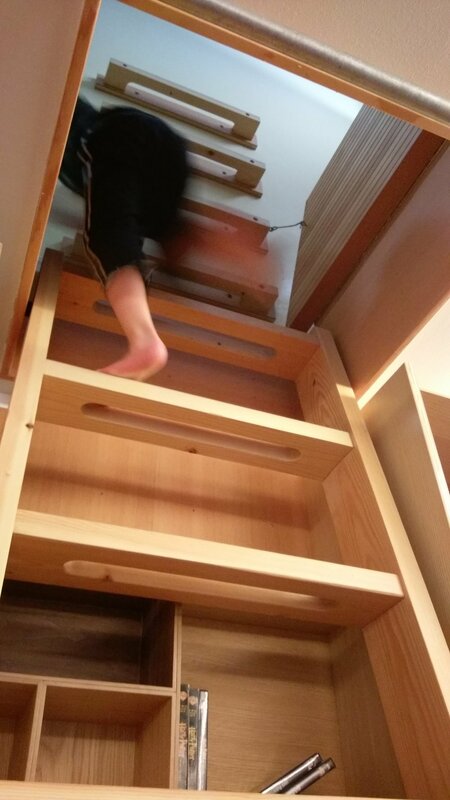 A new bookcase and ships ladder in the media room connect to a play space on the second floor through a small ceiling hatch for kids to pass through. Modern, colorful, and open design emphasizing playfulness, natural light, and connections to nature.